The Halloween Rock Night flyer! The Opening Night of AAMF 2014 is fast approaching! It’s time to spread the news across the oases! The opening night of the Al Ain Music Festival 2014 is fast approaching! 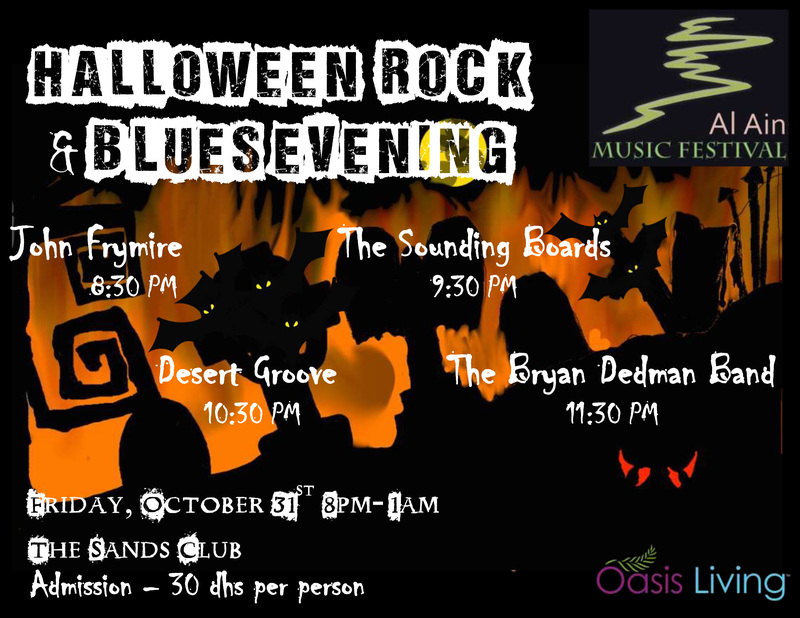 The “Halloween Rock and Blues Night” kicks off on Friday, 31st October at the Sands Club. Tickets at the door are just AED. 30. Don’t miss out! 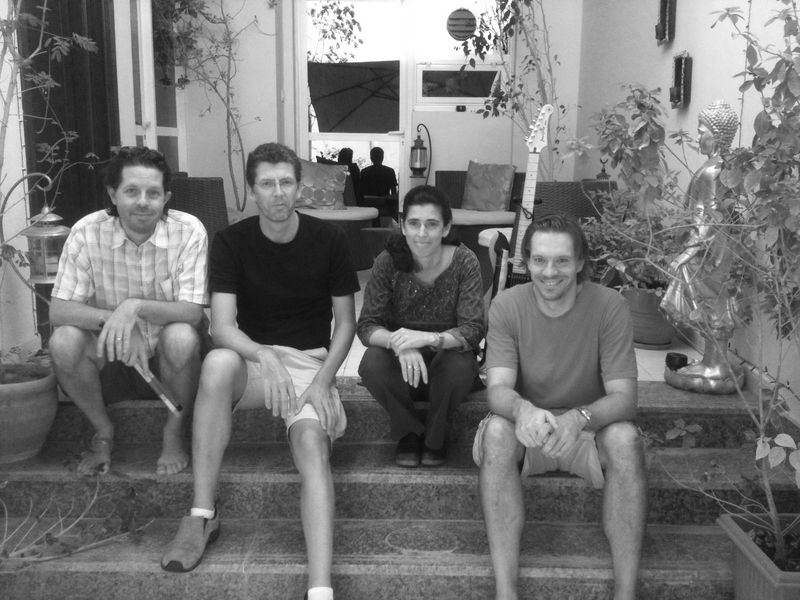 The local Sounding Boards band are returning to the Sands Club, Al Ain this Thursday, 25th September. This gig starts at 9 pm. The Sounding Boards are also on the bill for the Opening Night of the AAMF 2014, when they will be joined by other rock and blues acts. 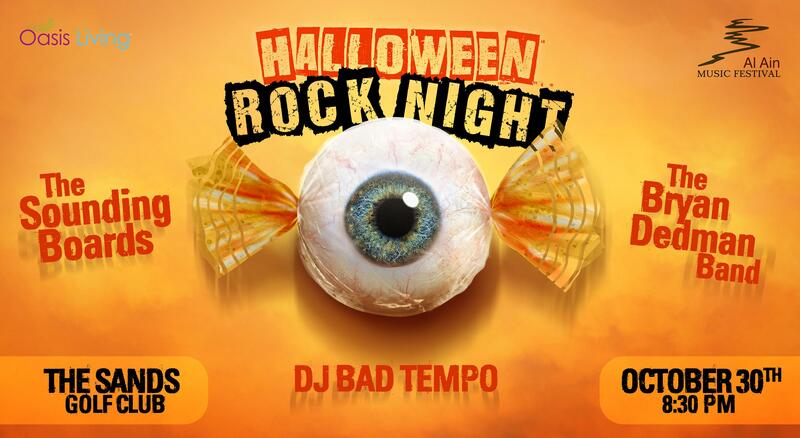 That “Halloween Rock & Blues Night” is set for Friday, 31st October. This weekend there will be concerts on consecutive nights at the Sand Club, Al Ain. the Sounding Boards, will be returning. 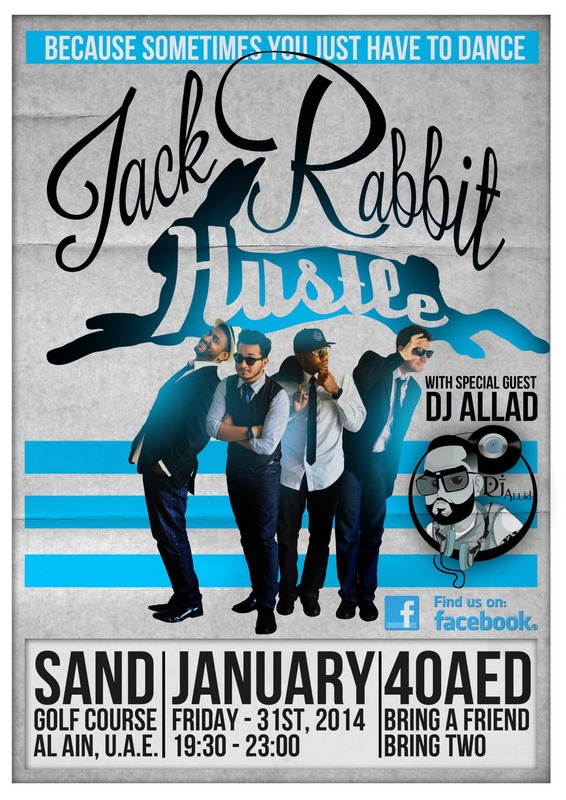 the Jack Rabbit Hustle Band will be making their debut. This new dance band will be joined by DJ Allad.